For three months Daniel Ortega and his government in Nicaragua were under intense pressure to resign – from protesters and opposition groups, from local media and from right-wing politicians in the US. But by mid-July it became clear that, despite persistent images of near-collapse painted by the international press, the country appears to be returning to something close to normality. How did a protest that seemed so strong when it began, lose momentum so quickly? Daniel Ortega has been in power since 2007, in the last election won 72% of the vote and until recently was running high in independent opinion polls. Despite this, a casual reader of the national and international media would get the impression that he’s deeply despised. In Open Democracy, the international protest group SOS Nicaragua calls him a “tyrant hell-bent on the bloody repression of the nation.” His local detractors agree. For example, on July 10 Vilma Núñez, a longstanding opponent of Ortega’s who was originally his ally, told the BBC that he is rolling out an “extermination plan” for Nicaragua. When rebels briefly held one of Nicaragua’s cities a few weeks ago, their leaders said they had ended “eleven years of repression”. SOS Nicaragua even claims that Ortega is a “more hated and more long-lived tyrant than Nicaragua’s former dictator” (Anastasio Somoza and his family, who ruled Nicaragua ruthlessly for more than 40 years). A casual glance at social media will show that plenty of people share these views, and at the peak of the opposition’s popularity they clearly had considerable traction. But the opposition’s first mistake might have been its overblown rhetoric, as people began to question whether it squared with their own perceptions. For example, until April this year, Nicaragua was the second safest country in Latin America despite also being one of the poorest. Its police were renowned for their community-based methods in which (unlike in the “northern triangle” countries of Honduras, El Salvador and Guatemala) killings by police officers were a rarity. Drugs-related crime was at a minimum and the violent gangs found in neighbouring countries didn’t exist. Of course the police weren’t perfect, but people could safely report problems such as domestic violence without expecting a violent response from police themselves. Yet the same police are now labelled “assassins” by the opposition and blamed for the majority of the deaths since the protests started. No one has questioned how a force with a record of limited violence was transformed overnight into ruthless murderers, supposedly capable of torture and even of killing children. That there have been violent deaths in the past three months is not in doubt. Bloomberg repeated the claim from local human rights groups that 448 had died by the end of July. However, a detailed analysis of those reported in the first two months of the crisis showed how the numbers were being manipulated. By then nearly 300 deaths had been recorded by the two main human rights organisations or by the Inter-American Human Rights Commission. A claim made right from the beginning by the protesters was that they were either unarmed or at best had only homemade weapons to protect themselves. Again, the international media were convinced. But local people could see otherwise. A case-by-case analysis showed that of those listed only about 120 were definitely attributable to the protests, with many unrelated to the events or having unclear causes, or involved bystanders or resulted from double-counting. Of course, the exaggerated picture is still held in many people’s minds (only the other day someone told my wife that “hundreds of students have been killed”), but many others have gradually realised that no massacre has in fact occurred. In an important respect the opposition succeeded. They created what The Guardian calls “a widespread and growing consensus within the international community that Nicaragua’s government is in fact largely responsible for the bloodshed.” While human rights NGOs repeat the message that the police and security forces (in Amnesty International’s words) “shoot to kill”, the people themselves mostly know otherwise. Whatever the provenance of the deaths in the April protests, recent victims have often been government supporters or the police themselves. In an analytic interview, Nils McCune explained to journalist Max Blumenthal how the opposition violence grew and Sandinistas were persecuted. Examples include a little reported incident on July 12, in which opposition gunmen killed four police and a schoolteacher in the small town of Morrito, kidnapping nine others. On July 15, protesters captured a policeman from Jinotepe while he was on his way home, tortured him and burnt his body. Of the deaths verified in the analysis above, about half are of government officials, police or Sandinista supporters. On August 4 there was a massive march in Managua of government supporters calling for justice for these deaths, which are little reported internationally. A claim made right from the beginning by the protesters was that they were either unarmed or at best had only homemade weapons to protect themselves. Again, the international media were convinced. But local people could see otherwise. The dangerous homemade mortars were soon being supplemented by more serious weapons. In the places where the protesters rested control of the streets, AK47s and other arms were being carried openly. This was not surprising, as what started as mainly a student protest quickly changed to one in which trouble-makers were recruited from outside. There were reports from various cities of youths being paid to man the barricades; in some cases, more serious criminals became involved. One of the student leaders of the protest, Harley Morales, admitted on June 10 that they had lost touch with what was happening on the streets. It was increasingly clear to local people that the coup attempt was leading to danger and insecurity of a kind they hadn’t experienced for years. An initially successful element of the opposition’s campaign was building road blocks (“tranques”) on city streets and on the country’s half-dozen main highways. At one point the country was effectively paralysed and the government was forced to demand the lifting of the tranques before it would continue with the “national dialogue” aimed at resolving the crisis (hosted by Catholic bishops and involving both opposition and government supporters). If the opposition had been sensible, it would have taken the government at its word, lifted the blockades and insisted that the dialogue proceed at pace. But either it was hooked on the power that the blockades had given it, or it couldn’t control those who were manning them. As well as simply being intimidating for local people to cross and very disruptive for local businesses, by this stage the tranques were the main focus of violence. They quickly turned from being an opposition asset to being the main reason why people wanted a quick return to “normality” (a plea frequently heard in the streets). In the space of only a week or two, the opposition lost perhaps the best chance it had to influence the outcome of the crisis. When police and paramilitaries finally moved in to clear the tranques, people were out celebrating in Leon, Carazo and Masaya. Another area in which the opposition wasted its initial gains was in use of social media. The starting point for the crisis was a forest fire in one of the country’s remote reserves. The opposition accused the government of ignoring the fire and turning down offers of help to fight it. By the time these were shown to be false, attention had moved on to a much more inflammatory issue, reforms to the social security system. The strength and pace of the protests were fuelled by a stream of real and fake news, principally via Facebook. Of course government supporters were doing the same, but the opposition proved far more effective. Again, there were distorted messages both about the reforms themselves and the subsequent protests. In perhaps the first example of mass manipulation of social media in Nicaragua since smartphones became widely available a couple of years ago, the strength and pace of the protests were fuelled by a stream of real and fake news, principally via Facebook. Of course government supporters were doing the same, but the opposition proved far more effective. Any death was of a protester. Scenes were staged of tearful students uttering their “last messages” while under fire or people “confessing” to doing the government’s dirty work. While manipulation by the government side was more obvious and less sophisticated, many people became sceptical about what they saw on their phones and began to place more trust in their own experiences. As the opposition became more desperate, social media took a turn for the worse, with instructions to track down and kill government “toads” (“zapos”), leading to the victimising and even torturing of government workers and supporters. The intolerance has spread to the US and Europe, with SOS Nicaragua members shouting down anyone speaking about Nicaragua who does not support their line (as happened in early August in San Francisco). Yet another opposition tactic that misfired was in calling strikes. That these came about was due to big business, which for long was happy to live with the Ortega government but was called to action by the US ambassador in March, when she told them they needed to get involved in politics. From day one they supported the opposition, even at the cost of their own businesses. But Nicaragua is unique in Latin America in having only modest reliance on big firms. Thanks both to the nature of its economy and support from the Ortega government, small businesses, artesan workshops, co-ops and small farmers have grown in number. What’s known as the “popular economy” contributes 64% of national income, far higher than is the case with Nicaragua’s neighbours. As well as being strangled by the tranques, small businesses couldn’t cope with strikes. Some observed them (perhaps under threat) but many did not, and the opposition lost other potential allies. The protest marches, tranques and strikes were all aimed at putting pressure on the government, with the (televised) national dialogue as the public platform. Here, the opposition not only missed its best chance to secure reforms but its attacks misfired in other ways. It had only one argument, repeatedly put forward, that the government was responsible for all the deaths that were happening and must resign forthwith. In other words, it didn’t really want dialogue at all. A belligerence that found approval among its hard-core supporters was simply off-putting to the majority of people who desperately wanted a negotiated outcome that would end the violence. The national dialogue now receives little attention, in part because the government has regained control of the streets but also because it is obvious that the opposition were using it only to insult and criticise, with no real intention of engaging properly. Furthermore, instead of the Catholic church staying to one side as mediators, their priests have again and again been found to support the protests, so their role as neutral actors in the dialogue is no longer credible, if it ever was. By aligning itself with the right wing of the US Republican party through its well-publicised trips to Washington and Miami, and its acceptance of US government finance, the opposition points to a change of political direction for Nicaragua which would be anathema to most Sandinistas and even to many of its own supporters. By having to speak publicly in the dialogue, the opposition has also exposed other weaknesses. While it is united in wanting Ortega to go, it is divided on tactics and even more fundamentally in its politics. Whatever one thinks of the Ortega government, it can be seen to have taken the country in a certain direction and to have accumulated many social achievements during its eleven years in power. What would happen to these? Even on the issue that ostensibly began the protests, the national social security fund, the opposition offers no clear alternative. Worse, by aligning itself with the right wing of the US Republican party through its well-publicised trips to Washington and Miami, and its acceptance of US government finance (detailed by the Grayzone Project), the opposition points to a change of political direction for Nicaragua which would be anathema to most Sandinistas and even to many of its own supporters. There is a paradox here, because a tactic which backfired in Nicaragua may yet serve the opposition’s cause internationally and damage both Nicaragua and the Ortega government in a different way. While for the Trump administration Nicaragua is hardly a priority, there is long-running resentment about the success of Sandinista governments within the US establishment, awoken by the recent protests. The same establishment also sees an opportunity to attack an ally of Venezuela’s. It has been working hard in bodies like the Organisation of American States, aided by its new allies in the region, to restrict Nicaragua’s support to the small number of Latin American countries that refuse to play the US game. While the OAS/OEA can take few concrete steps itself, it is contributing to an image of Nicaragua among US lawmakers that may allow sanctions to be imposed that could be very damaging to its economy and hence to its people. As a result of all the opposition’s mistakes, and of the government’s concerted action to regain control, Nicaragua’s real situation has shifted markedly in the few weeks since mid-July. But international commentators are failing to keep up. The New York Times, Huffington Post, Guardian and other media continue to talk about the tyranny, or the mounting political violence, or (in the case of Huffpost) even the rise of fascism in Nicaragua. In Open Democracy, José Zepeda claims that “the majority of the Nicaraguan people have turned their backs on [Ortega]”. In Canada, the Ottawa Citizen talked about Nicaragua imploding. But most of these correspondents are not in the country. In practice the violence has slowed almost to a halt, Nicaraguan cities are clear of barricades and normal life is being resumed. The prevailing feeling is one of relief, and better-informed commentators have begun to conclude that the attempted coup has failed. Of course there are enormous challenges, and huge potential pitfalls for a government now having to repair the country’s infrastructure with reduced tax revenues, scarce international investment and near-zero tourism, as well as facing open hostility from its neighbours and possible economic sanctions by the United States. 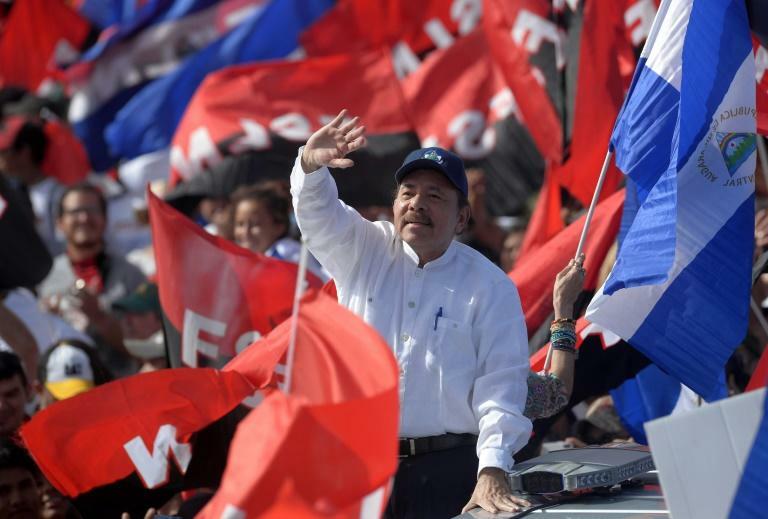 But in terms of the strength of its core support among Nicaraguan people, Daniel Ortega’s government may even be stronger now than it was before the crisis began.